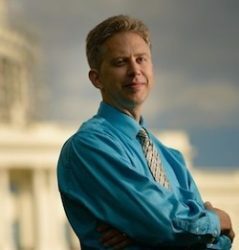 The Center for Effective Lawmaking, a joint initiative between the University of Virginia’s Batten School of Leadership and Public Policy and Vanderbilt University, announced the highest-scoring members of the 114th Congress (2015-16) during a Sept. 26 launch event at the Rayburn House Office Building in Washington, D.C. 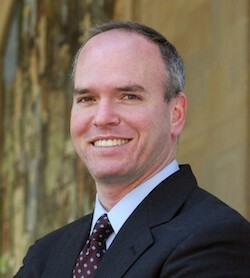 The center, co-directed by Craig Volden, professor of public policy and politics and associate dean for academic affairs at Batten, and Alan Wiseman, Cornelius Vanderbilt Professor of Political Science at Vanderbilt, utilizes a data-driven approach to study the causes and consequences of each Congress member’s ability to advance agenda items through the legislative process and into law. “The Center for Effective Lawmaking will be the go-to resource for academics and practitioners who are interested about the effectiveness of individual members of Congress,” said Wiseman. Beginning with a research project several years ago, Wiseman and Volden have systematically tracked every bill introduced in Congress since 1974—more than 150,000 bills. The resulting Legislative Effectiveness Score rates every member of Congress for the past 40 years, based on the bills they sponsor, how far the bills progress through the lawmaking process, and how important the bills are. Future plans for the center include identifying individuals who are likely to be effective lawmakers before they become legislators, discovering methods that could be adopted by legislators to become more effective, and exploring how and when voters are responsive to information about effective lawmaking.